Farmers must adopt precision agriculture technology if they are to maintain their social licence to operate, a leading New Zealand ag-tech innovator says. LIC Automations head of product development Steve Harcourt said techniques that let farmers apply precise applications of irrigation water and farm chemicals onto crops and pasture would be common place on Kiwi farms in five years. Harcourt said consumers would no longer tolerate farmers “broadcast spraying” agri-chemicals. LIC Automations head of product development Steve Harcourt was one of speakers at Farming 2020. Harcourt is one of the speakers at Farming 2020 – a three-day events near Hamilton that coincides with Techweek and which is showcasing new and emerging technologies for farmers. 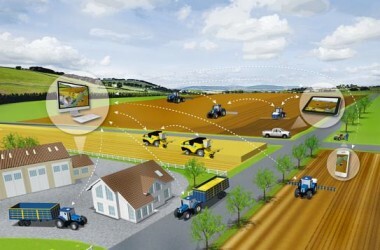 Harcourt expected to see farmers make more use of sensors, robotics, crop imaging and climatic data. There was no doubt robots were starting to take off in New Zealand, he said. 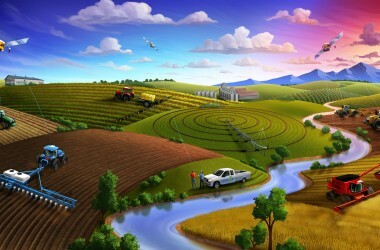 Prominent farmers had adopted the technology and it was increasingly cost effective. Innovations were most likely to come from existing companies outside the primary industry, because they had the resources to develop technologies, he said. Networking was a big part of the Farming 2020 held near Hamilton. Hitachi, IBM and Fujitsu are already investing in this space. “A lot of these companies are looking for opportunities to branch out and look at their capabilities in other sectors, and agriculture seems to be a pretty good target for a lot of them,” Harcourt said. Labour shortages, the drive for production efficiency, capital and resource constraints and consumer concerns around food integrity and safety would be the biggest drivers of innovation, he said. Investment was also a big driver of technological innovation and there was $4.7 billion of investment flowing into agritech this year – the largest amount since the dot.com era – he said. More than half of this spending was occurring outside the United States and this was a significant change. Successful new technology addressed an underlying problem, Harcourt said. It was a point also made by Imran Raza? and Mark Crarer of Morrinsville-based software company Agrismart. In their case, they created a software system to help address the issue of employment compliance in the dairy industry. The small company was one of more than 20 with stands at the event. Also exhibiting was Russell Lake from electric farm bike company Ubco Bikes. Farming 2020 was a great platform to demonstrate new technology such as their bike, he said. Fairfax Media is the media partner for Techweek’17 which is a week of events bringing together New Zealand’s brightest technology and innovation talent to tackle global issues with local ingenuity from May 6 to May 14, techweek.co.nz? ?